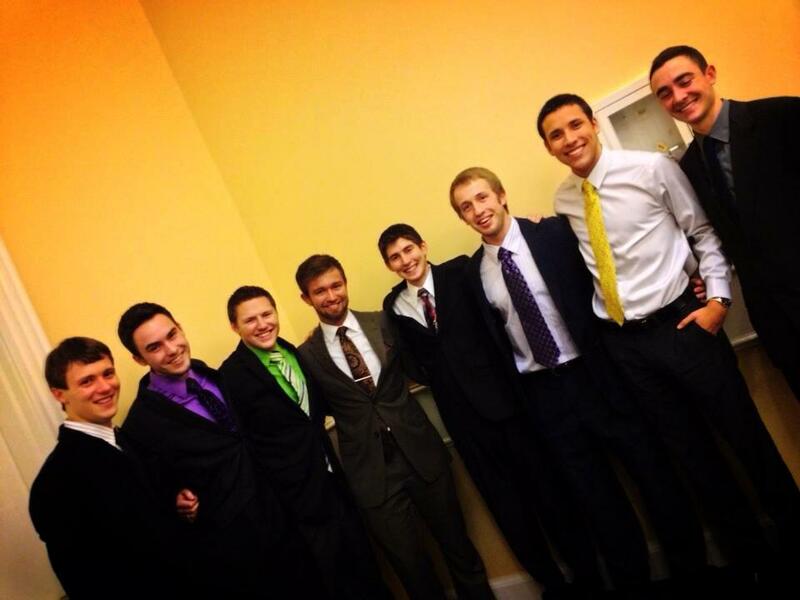 The Kappa Omicron Chapter of Phi Gamma Delta has established scholarships through our Housing Corporation. The Housing Corporation understands the importance of academic excellence and uses these scholarships to reward and motivate our members. Each term, everyone who achieves over a 3.0 GPA receives a $200 scholarship, subject to satisfying certain minimum criteria. It is not uncommon for nearly 25 of these scholarships to be awarded every term. Phi Gamma Delta also recognizes and promotes scholarship on an international level. Every new member who achieves a 3.2 GPA or higher his first term in the fraternity is awarded a $250 scholarship. The Phi Gamma Delta Educational Foundation provides these scholarships, and they are in addition to the $200 scholarship previously mentioned. Eligibility criteria are available upon request. The program serves to promote academic success, enhance the academic environment of chapters, and build solid future leaders. The Kappa Omicron Association also recognizes individuals who achieve a 4.0 GPA with an additional $100 scholarship. The member who improves his GPA the greatest from one term to the next is also rewarded a $200 scholarship in addition to any other scholarships he qualified for. An additional $100 scholarship is given at the end of the year to the one individual who achieves the highest accumulative GPA for that academic year. Each of these scholarships is subject to certain minimum eligibility criteria available from the chapter upon request. *Housing Corporation scholarships are granted to live-in members who are in good standing and meet certain minimum eligibility criteria. All scholarship awards are subject to approval by the graduate board of advisors.